Interview With IFBB Pro Con Demetriou - Part 2. Con, Would you like to thank any people though this interview, people who have helped you thoughout the years? CD: Yes, certainly. Ed Connors is a guy who opened up all the Gold’s Gyms here in America. He tried to get me here even when I was 21 years old. I’ve finally come 15 years later and he gave me a place to stay. He gave me a lot of encouragement and support. Then there’s Dennis James who helped me for the last show. I’ve got some friends in Australia, of course. My friend Robert Rowland – he’s always there for me through thick and thin. Let’s change our topic for a moment and talk about your nutrition and training philosophy. Obviously, you’re the not the bulky kind of bodybuilder. You’re more of the proportioned, have more aesthetics, more symmetry kind of bodybuilder. How much did you weigh in Orlando? CD: I was a bit under 240, probably about 235. What’s your off-season strategy when you’re not competing? Do you bulk up a lot? Do you try to stay in shape for photo shoots? Do you think it’s right to bulk up that much? CD: Yeah, I think it’s good to bulk up just because it helps your heart, your lungs, your organs adapt to that weight. Everything changes so your body can handle being that weight. I think it stretches the boundaries a bit. For me, I make my money doing photo shoots and posing and all that so I have to stay in shape. I had the luxury of bulking up for a month. CD: Yeah and then I had to tighten it up pretty quickly. I found that I really didn’t bulk up that much. I was carrying a lot of fluids. Once I cut out the salts and got rid of the fluid, I was lean within a week. Your body can’t probably handle much more without ruining the symmetry, right? CD: Yeah, I believe so. But I felt like my body wanted to keep on growing to 270. I wasn’t fortunate enough to have the luxury to do that. Maybe next time after this show. How long is your contest preparation? CD: Usually only six weeks. CD: Yeah, I get lean very quickly. I know I haven’t been dialing in for most of my pro shows but I actually do get lean pretty quickly. I’ll be dialed in for every show now. It’s just a matter of putting on the size now. That’s the next thing I’m going to work out. In the Orlando Pro and in your previous show, you had some interesting poses. Your front double bicep is more like a classic, old-school double bicep. It’s not the traditional one that we see in most shows. Do you give a lot of importance to the posing or does your style come from being so experienced with photo shoots? CD: Well, it’s from the photo shoots. It’s from Alex Ardenti. He told me to pose like that, he said it suits my body. It makes the taper of my waist a lot better. So yeah, I listened to him and it seemed to work. Do you practice a lot of posing? CD: No, I’m very, very lazy when it comes to that (laughs). I’ll be honest with you. Before the show, I don’t have much energy and I just don’t feel like doing it. In the off-season, I’m bulked up. It’s hard to get motivated to pose because you look in the mirror and you look a bit smooth. So it’s not motivating. I get motivated to pose a week after a show actually. You probably pose all the time for the photo shoots anyway and don’t need too much practice, right? CD: Yeah I do actually. And I’m a little bit shy going out there on my own and doing my posing routine. I think I’m actually a good poser but a bit shy in front of big crowds. I thought your posing routine in Orlando was quite interesting. CD: Did you really? I didn’t get much reaction. It was like a church. It was dead silent. I have to work at getting some friends in the audience. Yeah, bring some of your friends, a loud reaction from the crowd definitely helps to get you noticed. CD: Yeah. I’ll bring a few friends and I’ll try to get some noisy friends to come along. If you have some friends yelling and screaming, it’s contagious. Everyone else starts yelling and screaming. All of a sudden, you look like a superstar. Arnold was so charismatic. He brought so many friends so when he walked out on the stage, the crowd just erupted. When you first started bodybuilding, did you have any idols? Did you look up to Arnold like everybody else? CD: Yeah, Arnold definitely. He was like an idol to me but things change. I don’t really idolize anyone anymore. What about from later decades like Lee Haney, Dorian Yates? CD: Yeah, Dorian Yates. I got to meet Dorian when I was 20 years old and I won the Junior Mr. Australia. He came and guest posed as well. He just blew me away. He looked terrible in the photos but in real life, he looked unbelievable. Do you have any other plans after the shows in July? Will you rest or keep competing? CD: I’m going to have a bit of a break after this show. I feel like my body needs a bit of a rest. I like to cleanse my body out. I know Toney Freeman’s very good at that sort of thing. I was talking to him about it once, how he cleanses his body, his blood and everything. He’s very health-conscious. I think he’s in Orlando. It’s close to Tampa so I’ll see if I can catch up with him and talk to him about the cleansing. If you could give one good advice to somebody who wants to become a pro or is thinking about becoming a pro or competing, what would it be? CD: There’s so much information on the internet on all the sites and all the supplement companies trying to promote their products, you’ll get a bit lost in it all. What I suggest is to find someone who’s been there, like a pro, and pay them or something and sit there and pick their brain. You’ll actually save yourself a lot of money and a lot of time by learning from their mistakes and their experiences. I do the same. I talk to Kevin English about things. You just got to find one that’s in your area and ask for their advice. That’s very good advice, having a role model or a coach is one of the most important things for success and avoiding mistakes in bodybuilding. What’s your nutrition like? Do you do any weird things or have any secrets? CD: Yeah, very weird. I don’t count everything – all my calories, proteins and all that. I’m very instinctive. I’ll walk into a supermarket. I’ll have my usual like staple meals but every once in awhile, I’ll push the cart around and whatever my body craves, I’ll put it in the trolley. It won’t be all chocolates or junk food. It will all be good healthy food. I believe you got to listen to your body and be in tune with your body and give it what it needs. It will let you know. A lot of people follow things blindly. After all, we’re humans. You look at the animals and they don’t have this eating plan or anything like that. You got to be instinctive like them and give your body what it needs. What about when you’re preparing for a show? CD: That’s different. Stick to it. CD: I count everything, especially in the last 3 to 6 weeks, everything tightens up. Do you follow anything specific like no carb? High carb? How do you do it? CD: Before, I used to have a lot of carbs, but since Dennis already cut the fats out, I loaded in carbs. As the show got closer, if I wasn’t getting lean, then we just kept on cutting the carbs until my body fat went down. What abour cardio? Do you do a lot of cardio or you don’t need it? CD: I do low-intensity cardio. This year, I’m not going to do much cardio at all. I want to cut down the cardio even further. Dennis wanted me to do a high-intensity cardio for half an hour in the mornings. I tried it but I just couldn’t do it and I modified it slightly. I just walk home from the gym. I used to catch the bus from the gym. I train and then walk home. It takes me about 30 to 40 minutes to walk home, a moderate pace walk. Another thing I want to ask you - in Australian bodybuilding, do you get a lot of sponsors? Do they help athletes? Or is it like in Greece where (almost) nobody cares? CD: Tony Doherty was really good to me. "Max’s Protein" also gave me some money and sponsored me for my first pro show. They gave me some money to go to New York. They were nice to me especially since there’s not a huge market over there. I don’t think there’s enough people in Australia for the supplement companies to shell the money. But here in America, I’ve done several photo shoots for different supplement companies. They’ve all paid really well but nobody sponsored me. In Greece, if you can imagine, it’s not even basic. There’s not even show coverages for media or magazines. CD: When I went to Cyprus after winning the Mr. Australia, they held a press conference in the Holiday Inn. I had radio stations, TV, magazines and newspapers. That was in 1995! At least, you are doing a lot of photo shoots and you’re getting a lot of exposure. CD: Yeah. I’ve done photoshoots for Flex, MuscleMag, Reps Magazine..
Con, I would like to thank you for your time to meet me here in New York and I wish you all the best with your prep for the Tampa show. I will be there with Michael too, so we will have a chance to catch up again! 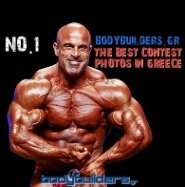 CD: I am so proud to be competing as a Greek bodybuilder on a pro level. Although I am Australian my name is a very strong Greek name. I am really looking forward to rising up the ranks in this professional league and when I make it to the Olympia I am really looking forward to visiting Greece and Cyprus to celebrate and encourage more of my fellow Greeks to join me and Mike on this amazing journey we are on. It is great having Mike close by being a fellow Greek-Australian. It is not so lonely. They say it gets a bit lonely when you get closer to the top but I am right on Mike’s tail for this journey! If you want to make it as a pro you have gotta believe it first. Mike helped me to believe and I hope I can do the same for you. 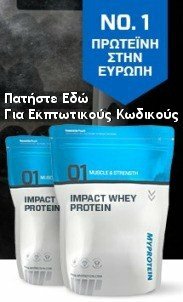 The Largest Greek Bodybuilding & Fitness Site On The Web. No reproduction of this article is permitted without the express written consent of the author.